There may be no such thing as a free lunch, but believe it or not, there is such a thing as free audio software. For those of you looking to get into demoing, writing, or simply laying down ideas in your own studio setup, this land of the free has some cool tools to get you going. It’s tempting to spend big money on audio gear; much of it is expensive, and money can seem insignificant when you’re passionate about something like audio. It’s not like having a passion for collecting seashells. That being said, the amount of expensive gear you have is not indicative of your abilities. This point was made starkly clear to me one day when I asked Ed Cherney (Rolling Stones, Bonnie Raitt, Iggy and the Stooges, etc.) what his thoughts were on home studios. He spun around in his Aeron chair, a Neve 8048 console behind him and an iPhone in his hand. “Got one of these?” he asked, pointing to his phone. I nodded. “Give it to me and I’ll make you a hit record. It’s who’s behind the tools, not the tools,” he said with his contagious grin. I’m breaking this up into two sections. 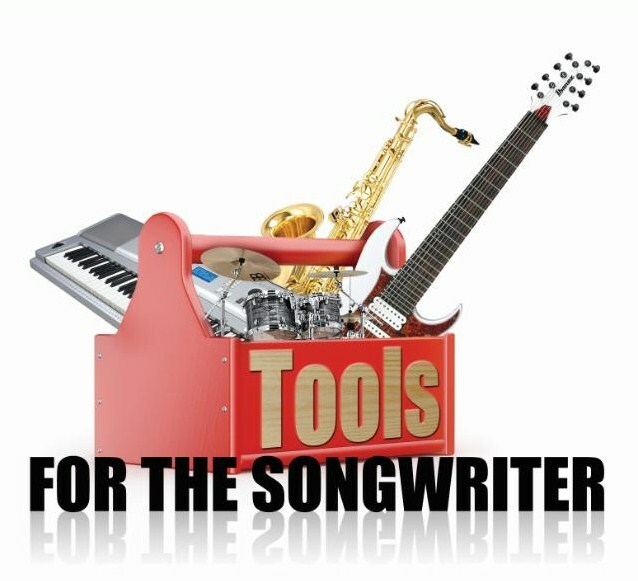 The first section is for those of you who already have a DAW such as Pro Tools, and a MIDI controller. This section will focus on how to make sounds from within those programs, with tools other than what you use to simply record your own voice or instrument through a mic. The second section is for those of you who don’t have a studio setup. There I focus on software programs for simple recording and for some synth use, as well as tools other than a DAW and MIDI controller, tools that will still allow you to create and demo. This is about free stuff, so I won’t tell anyone to go buy Pro Tools. But if you have Pro Tools or an equivalent DAW, then you can make use of many free plug-ins and add-ons, and we’ll mention some right here. I’ll stick to virtual instruments and simulators—compressors, delays and such processors can wait for another day. All the major DAWs come with numerous synth sounds and virtual instruments; you should explore yours exhaustively before you spend money on add-ons and third-party libraries. I won’t go to the length of listing all those DAWs with their included sounds—but I do encourage you to get to know whatever is waiting to be discovered in your own DAW. As I work primarily in Pro Tools, an industry standard, I’ll start by mentioning the virtual instrument plug-ins that you get for free when you first install and open the program. Many of you are likely to purchase it sooner or later, and as with any new purchase, it’s nice to know the full range. Xpand, now Xpand 2, is one package that I’ve used a lot, not only on demos but in finished recordings. From soft, hard and action pads to ambience, percussive and polysynths, Xpand allows for an infinite amount of experimenting and layering. There are four separate MIDI inputs, each instance housing 4 channels, to be used discretely or blended; for example, setting all four to channel 1 will layer all four sounds together. Alternatively, you can choose to turn on and off different inputs, switching between sounds. Each input has two effects sends, level controls and timbre adjustment parameters such as envelope depth, cutoff, release, arpeggiation and modulation. The ethereal sounds in Xpand are my favorites. I consider the simulations of real instruments to fall short, but they can be interesting pieces in a more abstract synth ensemble. For a large part of a score I did for an alternative psychological thriller, I pulled eerie and freaky sounds from Xpand. Structure Free is another one that I’ve had fun experimenting with. It’s a sample player that allows you to import your own samples and effect them. As you can imagine, there is a paid version of Structure that allows for even more creative depth, but as a jumping-off point, the free version can really set the mind spinning with all sorts of possibilities. As in Xpand, you can have up to four instruments or patches at one time, from your own library or from Structure’s built-in library. There are two edit windows in which to effect your patches, including filters, filter envelope, velocity, pitch, key range and more. Vacuum looks really really cool in its “post-apocalyptic” graphic design. This monophonic tube synth has only a single sound, but lots of parameters to play with. Spending some time with the knobs and switches can give you a really interesting layered piece. Boom, a drum machine and sequencer, works great as a quick and easy way to set up some sequencing ideas that you can later replace with either real drums or with a more advanced, true-to-life drum program. DB-33 is a tonewheel organ with a rotating speaker, as in B3 and Leslie. Simple and straightforward in design, no bells, no whistles. And Mini Grand is an acoustic grand piano, no explanation needed there. Eleven is an amp simulator. Pro Tools comes with a free version of Eleven. [If the name Eleven doesn’t ring a bell, then we suggest you watch This Is Spinal Tap—Ed.] Like Boom, this can serve as a jumping-off point, a way to lay down ideas that will then be augmented by another program—or, in my case, the full version of Eleven. Two cabs and two heads may sound like an overly stripped-down version, but it’s about a million times better than attempting electric guitar direct without a simulator. In addition to what Pro Tools includes already, there are companies that offer free demo versions of their plug-ins—not as advanced or in-depth as the full versions, but still allowing for experimentation, demoing and recording. Some demo versions will cut out or make irritating sounds as you use them. Since I have the patience of a 2-year old on caffeine, particularly when creating, I steer clear of these. Also, I’m sure there are many more than what I’m covering here [kvraudio.com is a good place to start looking—Ed. ], but here is a glimpse into the wonderful world of free third-party plugs. Native Instruments offers some of the best free virtual instruments that I’ve used. For free, you can download Reaktor 5 Player, Guitar Rig 5 Player and Kontakt 5 Player, which include libraries of more than 300 sounds and effects. Here, the sound quality is really the highlight. These free players offer a sprinkling of the company’s acclaimed and varied sounds, from drums to synths to keys. 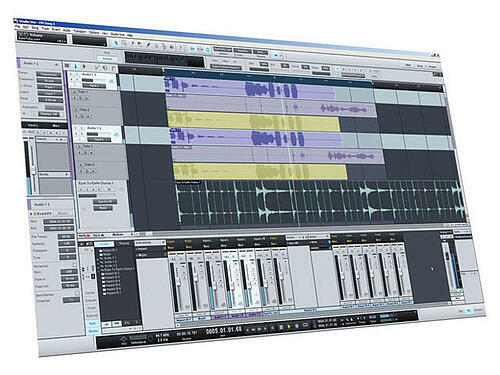 Supported formats include stand-alone, VST, RTAS (Pro Tools 9 and 10), AAX Native, 64-bit AAX, and Audio Units. They’ll run on Windows 7/8 and Mac OS 10.7+ and require 3 GB of disc space. SampleTank FREE by IK Multimedia is another expandable version of the full SampleTank. It comes with 58 sample-based sounds and 146 preset sounds, ranging from modular Moog to female choirs and acoustic guitar. Supported formats are standalone, Audio Units, RTAS and VST, on Windows XP/Vista/7/8 or Mac OS X 10.5+. Symptohm Melohman PE (Performer Edition) by Ohm Force comes with more than 1200 presets, and lets you throw in your own samples, toggle between 7 different MIDI controller modes, and augment and bend the sound with built-in parameters. It offers two different graphical skins: a clear classic layout, and one that “embodies the true spirit of Ohm Force” (see the screenshot and rejoice). It’s available for Mac and Windows in VST, Audio Units, and RTAS (some bugs have been reported when used in Pro Tools 10). Addictive Drums (XLN Audio), BFD (FXpansion) and DrumCore (Sonoma Wire Works) can be had in free, stripped-down versions of their full drum programs. Addictive Drums is a fully functional demo with kick drum, snare, hi-hat and cymbal. Windows 7/8 and Mac 10.6+ in VST, Audio Units, RTAS, AAX and stand-alone. BFD2 demo will only run as a standalone on Windows XP/Vista/7/8 or Mac. It won’t let you import any samples, you just use the 9-piece kit that comes with it. You can’t save or export anything but the demo will run forever and has no expiration date. DrumCore also doesn’t time out and supports VST, Audio Units and RTAS for Mac 10.4+ and Windows XP/Vista/7/8. It comes with two kits, as opposed to 100 in the full version, a basic grooves library, and no standalone capability. Let’s say that Pro Tools, Logic or another paid DAW isn’t in your studio setup but you want software on your computer to record demos and ideas. Well, fret not. There are free recording software programs out there. I have used a few of these myself and the others come suggested by students and friends. I’m sure a Google search could unearth even more. GarageBand from Apple comes free on new Macs and has an incredibly user-friendly platform. Simple controls, simple navigation, all while delivering thousands of built-in synth sounds and virtual instruments as well as loops. A “Windows version” is supposedly out there, but I can’t speak for its legality or its stability—it’s not offered by Apple. Audacity is a fairly well-known program that I’ve used primarily for editing and exporting OGG files. It has high-fidelity capabilities (up to 32-bit float) and is simple and streamlined. Although it only supports VST or coded (via LADSPA or Nyquist) versions of plug-ins, it has built-in EQ, compression, pitch shift, noise canceling, echo, reverb and fun little tricks like “voice cancellation” which removes center-panned audio through inversion. It is available for Mac OS 10.4+, Windows XP/Vista/7/8, and Linux. Ardour offers pay-per-month software DAWs but also has a free version that simply doesn’t allow for plug-in settings to be saved. For me, this was never a big pain as I learned on analog gear where I had to handwrite all the settings for later recall anyway. Ardour is an incredibly versatile platform that allows for unlimited track count (CPU dependent), internal and external routing (to other software and hardware), AU plug-in use, Pro Tools-like transport recording, and access to any of your sample libraries without compatibility issues. You do have to download the Jack Audio Connection kit which essentially allows for Ardour to communicate with audio interfaces and connect various applications, such as Ardour, to external hardware. Ardour runs on Mac OS 10.4+ (not tested on 10.6+ however) and Linux. Wavesurfer and Traverso DAW are two free programs that seem to be more for the computer-savvy and tech-interested. I have used neither. Traverso seems to have much of the functionality of the above software programs, including multi-track capabilities, importing, editing, effects, and automation. Both run on Mac OSX, Windows and Linux. And finally, let’s talk about iOS apps. Even more so than plug-ins and DAWs, the number of apps available for the audio world is astronomical. I won’t list them all here, obviously, but again I will list those that I can vouch for, either personally or through human contacts (like my Editor). My list is mostly for the iPhone; be aware that iPads offer different and expanded possibilities. If you’re like me, you don’t always get great ideas when you’re conveniently seated in front of your DAW. You get ideas in the car, on the bus, in the grocery store, at dinner, and so on. In these imperfect situations, you know you just have to hum that melody or lay down that riff idea or you’ll lose it and never write the most amazing song ever! I feel your pain. But I’m not a fan of the iPhone’s voice memo recorder. I can’t label or organize notes besides an arbitrary date and time stamp, and it has a finite record time, but it won’t tell you what that is. QuickVoice, however, is something that I use for everything from interviews to guitar-riff ideas and vocal melodies. You can record upwards of an hour of audio, title it and send up to 5 MB of information (around 3 minutes) as a CAF file or ringtone. It also offers different recording-quality settings, allowing you to choose smaller file size or higher-quality audio. Tape from Focusrite is a cool little iPad recorder with good basic features and great organizational options for files. Pocket Wavepad, another free app that allows you to record and then effect audio, lets you get a bit more in depth, even to start editing. Hokusai Audio Editor is a free multi-track recording app, even more of a heavyweight, allowing for several audio tracks to run simultaneously, imported or recorded. You can then effect, edit and export your finished product as a WAV, MP4 or transfer to your computer via USB or Dropbox. SampleTank, the aforementioned synth, also comes in app form. Much like the plug-in, the app has hundreds of instruments and patches for you to choose from, layer, and record. With a 4-track MIDI recorder and drum pads, you have access to over 120 user presets, more than 600 instruments and built in-insert effects. Alchemy Synth Mobile Studio from Camel Audio is another free app that delivers a powerhouse of creativity in a user-friendly interface. It delivers high-quality audio in everything from guitars and basses to synths and drum kits. Much like SampleTank, it has a 4-track sequencer and drum pad window, with added fun and functional tidbits like tilt and inertia to physically control sounds. Groovemaker is skewed towards the DJ realm but still a great tool for electronic creations. It comes with over 120 loops that you can mix, remix, edit and layer in real time to create a unique blend of your own style and ideas. easyBeats LE is a free 808-style drum machine app. If drums are your forte, this app can combine your own generated rhythms with built-in samples to create a beat on the go—easily. Guitar Free and Piano Free, as well as Real Guitar Free are apps that let you play the instrument on your phone, but not record. However, with features that allow hammer ons, strumming, and plucking, you can work that riff out on the go and make a note of the tab or arrangement until you get a chance to record it. Clearly, whatever it is that you’re looking to create, there is no shortage of free software to assist you in your musical endeavors. I’ll just throw in one last audio geek musing: Take heed that there’s always a paid upgrade (or, on iOS, an in-app purchase) to be had; some are worth it, some aren’t. As with most things in life, this paid vs. free gear is a balance. Have fun in the land of the free! Eleanor Goldfield is a Los Angeles-based writer, musician and freelance tech and studio consultant. She is lead singer in the hard rock band, Rooftop Revolutionaries, and works with several studios and pro audio professionals in management and consulting capacities. For more info, check out eleanor-swede.com.